Tap Here To Learn About Our Cone Beam 3D Technology! Your Dentist for Shelby Township MI and surrounding areas throughout Macomb and Oakland counties. You’ll quickly see why Dr. Barbat has many patients who come to her from a wide vicinity around her dental office, including outside of Michigan! Our convenient office hours make it easy to have dental treatment, even for dental emergencies. If you are seeking a dental office where your entire family can enjoy compassionate, personalized dental care, Dr. Barbat is waiting to welcome you! We welcome new patients from Shelby Township, Sterling Heights, Troy, Utica, Washington, Rochester, Rochester Hills and surrounding communities throughout Macomb County and Oakland County. Call Ban R. Barbat, DDS at 586-739-2155 to experience our complete care dental office. Or, begin with a no-charge Consultation. Our on-site Orthodontist, who specializes in the realignment of teeth, can offer you various ways to achieve a more beautiful, healthy smile through Invisalign or traditional braces! Call for a free consultation today! Dental implants recreate the look, feel and function of natural teeth. And, with proper care, they are designed to last your lifetime. Call for a free, private consult to discuss your options to replace one, several or all missing teeth. When you smile or laugh, are you proud of the way your teeth look? If not, Dr. Barbat combines advanced training in cosmetic dentistry with the latest in techniques, technology and materials to create a fabulous smile you’ll love to share! She offers advanced teeth whitening; porcelain veneers and crowns; bonding; inlays or onlays; and even realignment. Begin with a no-charge consultation to discuss the smile you’ve always wanted! Oral Sedation – In pill form, this provides a very relaxed state with a quick recovery. I.V. Sedation (twilight sleep) – This gives a deeper level of sleep, typically erasing all memory of the procedure afterward. Restorative dentistry describes the restoration or replacement of teeth so you can enjoy eating and laughing. Restorative procedures (including crowns, crown & bridge, dental implants, dentures, partials) restore smiling and eating comfort, appearance, and confidence. headaches, teeth grinding or clenching, ear ringing, sore Jaw joints? If you have any of these symptoms, you may have TMJ disorder. Stress or strain on the temporo-mandibular joints (or jaw joints) can lead to a number of seemingly unrelated problems – some that are uncomfortable, downright painful, and even debilitating. Dr. Barbat is a highly-trained neuromuscular dentist who understands the unique balance between the proper alignment of teeth with these joints. She has advanced equipment and uses cutting-edge techniques to pinpoint the precise cause of your symptoms, taking the guesswork out of solutions that are appropriate for you. Find relief! Begin with a free, no-obligation consultation. 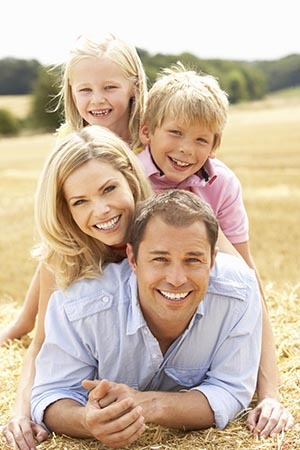 Enjoy affordable dental care for your entire family. Call Ban R. Barbat, DDS at 586-739-2155. Or, complete an online request form to schedule your consultation or appointment. Selected by Hour Detroit magazine as Top Dentist! Visit Our Smile Gallery. Your smile is too important to give it anything but the very BEST! Begin with a free Consultation or schedule an appointment with us today!